T/5 Joe Ed Parris, son of Mr. and Mrs. P.L. Parris, graduated from Grandfield High School. 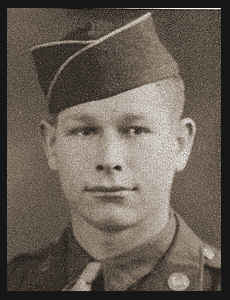 Entered Army in 1942, trained in Camp Swift, Texas; served in England, France, Belgium, Luxembourg, Germany and Austria. Awarded Pres. Unit Citation, Good Conduct medal, Asiatic Pacific Ribbon with five Battle Stars.